Pam has worked in nonprofits for over 35 years. She began her career working for John Carver, founder of the Policy Governance Model. She spent most of her time in management and planning and policy. She has helped birth a dozen nonprofits, served on local, state, and national boards, and does private consulting as well. She is an alumnae of training through The Foundation Center, Stephen Covey, and the Center for Creative Leadership. 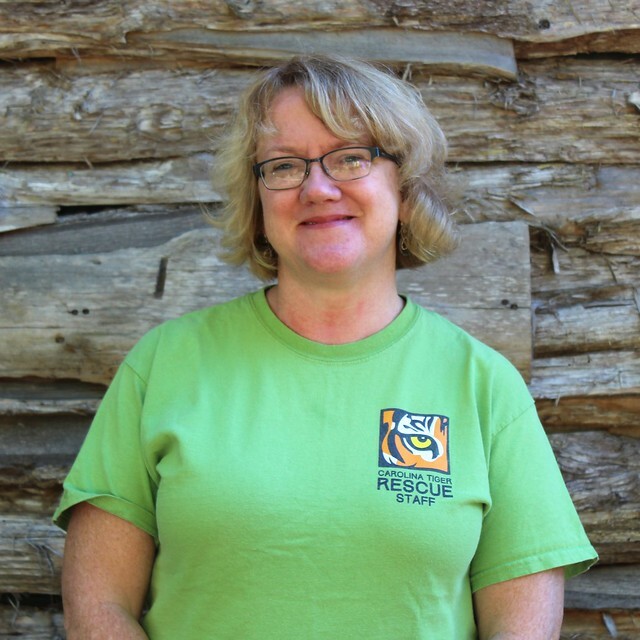 Pam came to Carolina Tiger in 2003 for a more “joyful” experience in the animal field, and also loves the wonderful array of people she works with daily. She enjoys gardening, reading science fiction, and traveling. 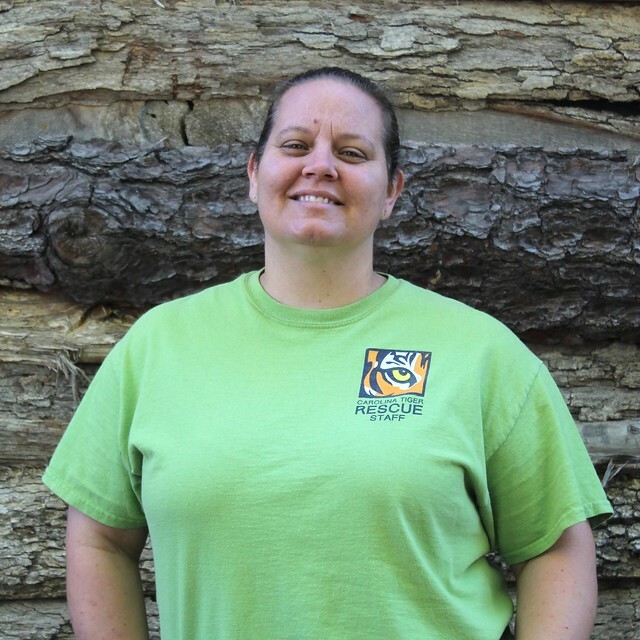 Kathryn has been with Carolina Tiger since 1999, and before that served as an animal care intern. 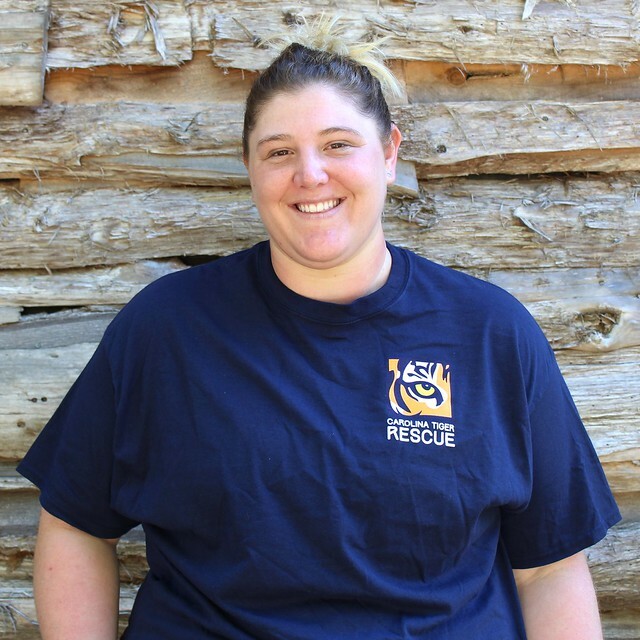 Kathryn worked her way up to Assistant Director and now manages the animal care and education programs. Over the years Kathryn has seen much change as Carolina Tiger continues to grow. While working with the animals brought her here, the people make it a place she calls “home”. Our furry and two-legged family has made an invaluable and lasting impact on who Kathryn is today. In her spare time, Kathryn enjoys making jewelry and running. Her jewelry can be found in the Savanna Station gift shop. Lauren graduated from Virginia Tech with a degree in Wildlife Science and Animal and Poultry Science. She completed several internships in the animal field, including working with cheetahs at Wildlife Safari and native Australian species in Cairns. 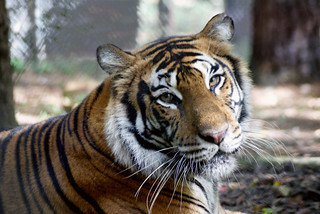 She joined the Carolina Tiger Rescue team in January 2008. The best part of her job entails working with the animals through positive reinforcement. Lauren also loves music, movies, and bad jokes. Larissa graduated from North Carolina State University with a degree in Animal Science. She has been a keeper with Carolina Tiger since 2016 but began working with the organization as a volunteer in 2014. Larissa has several years of animal experience working in the veterinary field. Her favorite part of her job is being able to provide enrichment to the animals. During her time off she enjoys attending music events and spending time at the gym. 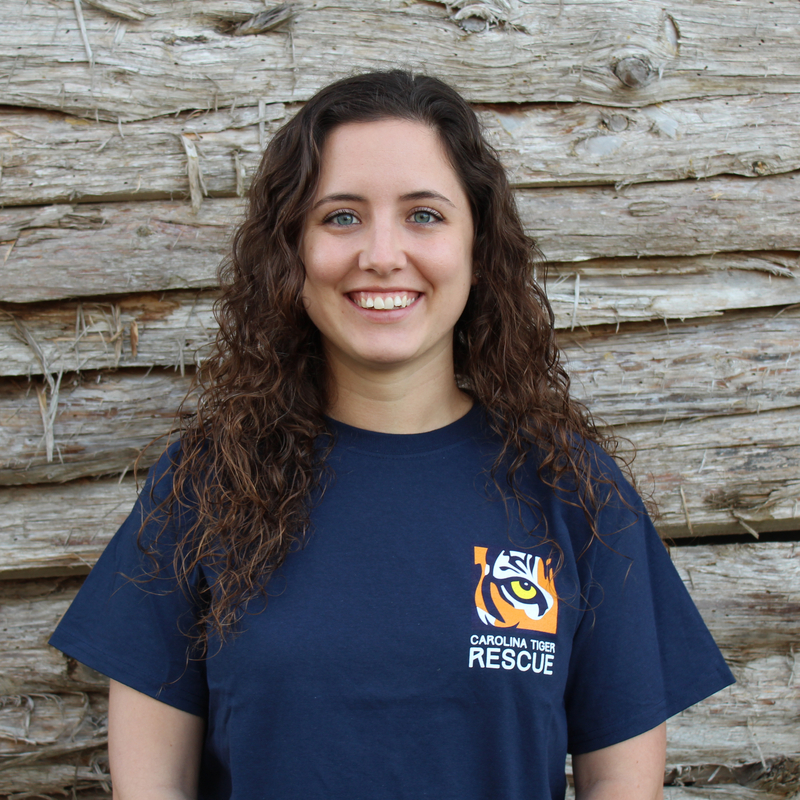 Cara joined the staff at Carolina Tiger Rescue in September 2016, having volunteered in animal care since August 2012. Cara moved from New Jersey to North Carolina when she was awarded a full scholarship to play Division I softball at the University of North Carolina, Chapel Hill, where she pursued a degree in Communications. She worked in marketing and brand development. The Carolina Tiger family is an inspiration to her and it’s an organization she has wanted to be a part of since she started volunteering. Cara loves, music, movies, road trips, her Golden Retriever, Callie, and spending time with her friends and family. 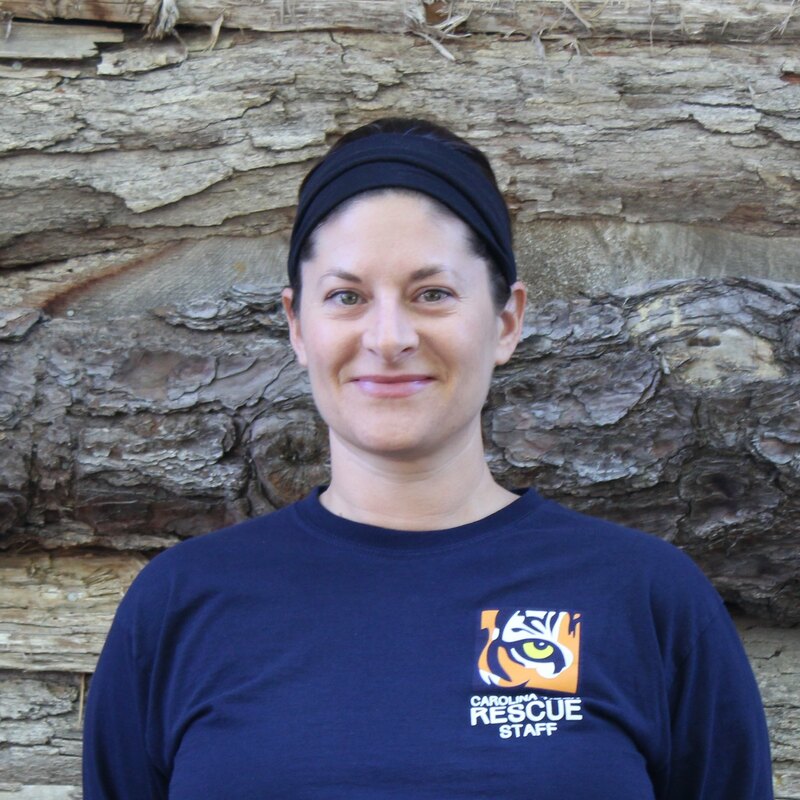 Dr. Lassiter started at Carolina Tiger Rescue in 2001 as a veterinary assistant, which led her to pursue her DVM from Ross University (2007). She returned to Carolina Tiger Rescue in August of 2008 and is the senior veterinarian on staff. Dr. Lassiter also works as an after-hours emergency veterinarian in Raleigh. 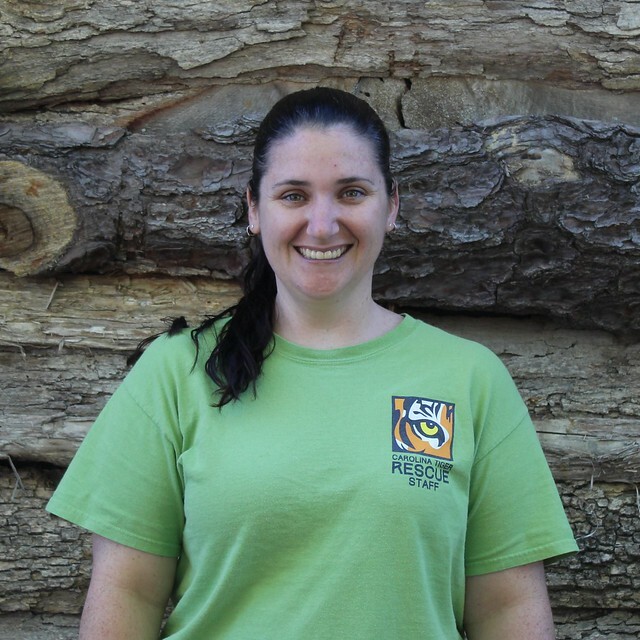 Her favorite things about her job at Carolina Tiger are the people and the animals that she gets to work with and being able to make a difference in the world. She enjoys playing, hiking, traveling and gardening with her family. Katie graduated from Appalachian State University with a degree in Special Education. 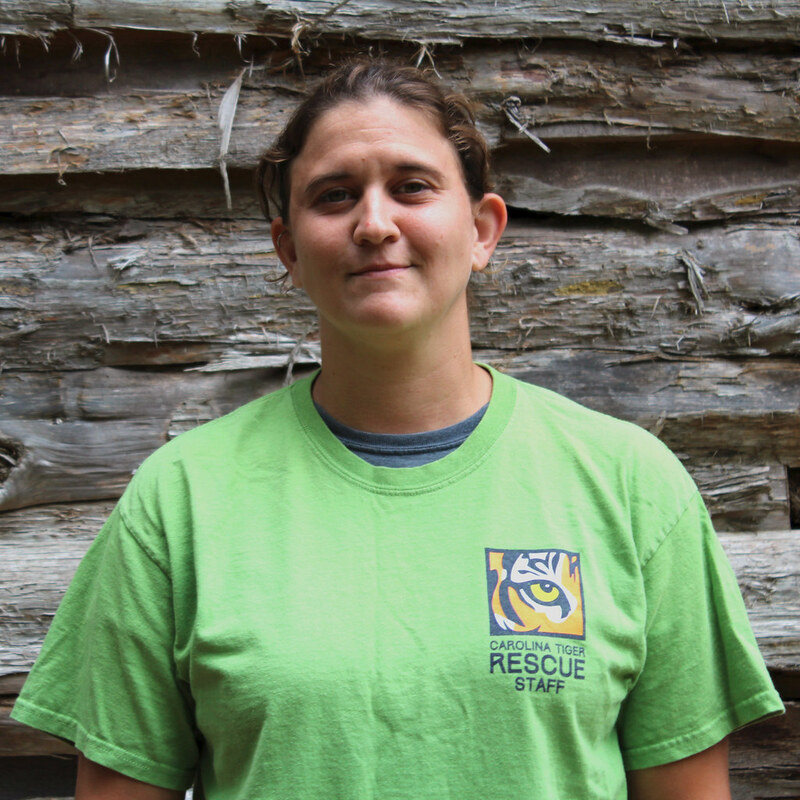 After coming out on a tour at Carolina Tiger Rescue, beginning to volunteer here, and working with the summer camp, she decided to make a career change. 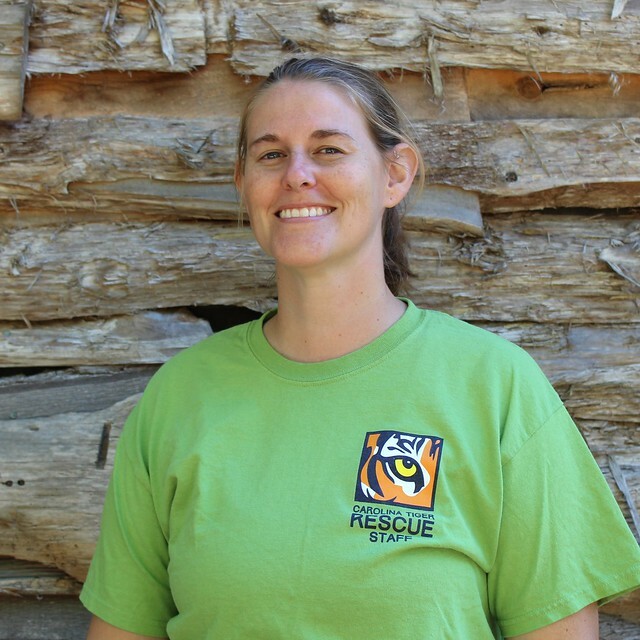 Katie began as the Education Director at Carolina Tiger Rescue in February of 2015 and has loved every minute of it. The best part of her job is going out and giving presentations on the amazing residents of Carolina Tiger Rescue. Katie also loves completing triathlons, scary movies, and ice cream. Check back for more information on Rosemary! 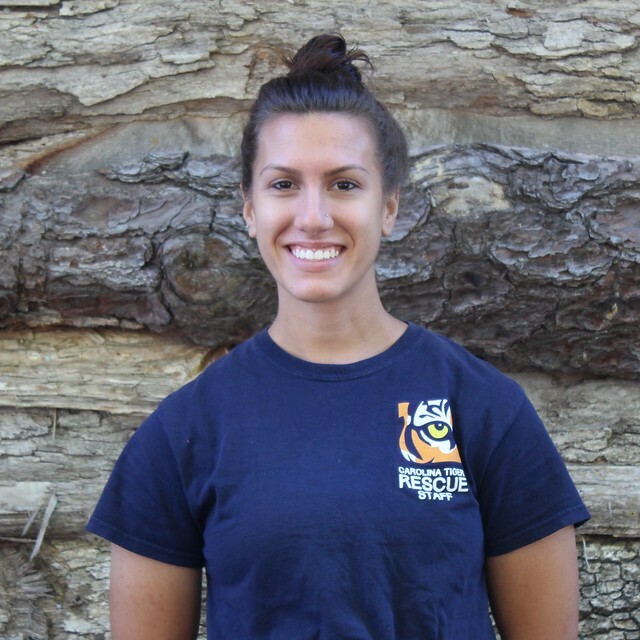 Maryssa came to Carolina Tiger from her hometown of Tampa, Florida, in the fall of 2014. 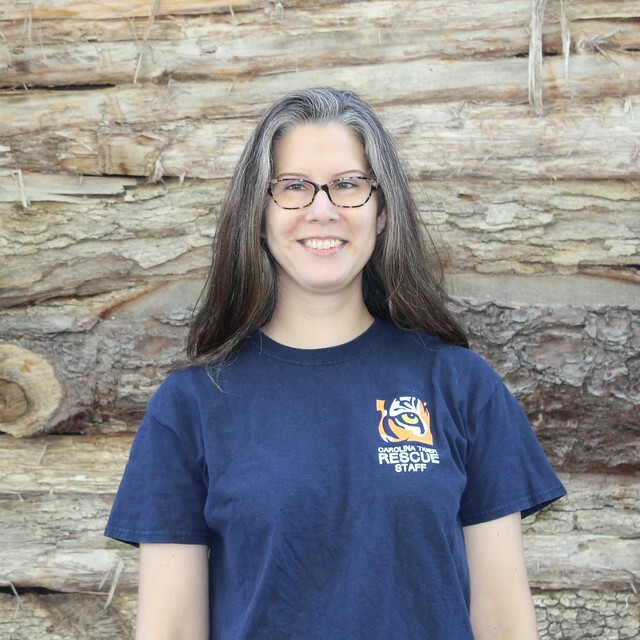 She worked as an environmental educator and volunteer coordinator for nearly 10 years before deciding to move to North Carolina, and while her Florida background is mostly in aquatic life, she considers herself an equal-opportunity nature enthusiast and is knowledgeable in many species. While she’s still a Florida girl at heart, when she saw that Carolina Tiger Rescue was looking for a new team member, she knew that was supposed to be the next step for her. When she’s not at work, Maryssa enjoys nature photography, a good book, scuba diving, and spending time with her family and friends. With a background in art, Michelle is passionate about clean design, optimizing website user experience and creating educational infographics to better illustrate concerns for cats in the wild and captivity. You can often find her in the sanctuary, hunkering in between fire ant hills with her Canon camera, waiting for the perfect shot. She graduated from the University of Akron (Ohio) in 2012 and came to Carolina Tiger because she wanted to work with passionate people who had set out to be the change the world needs. 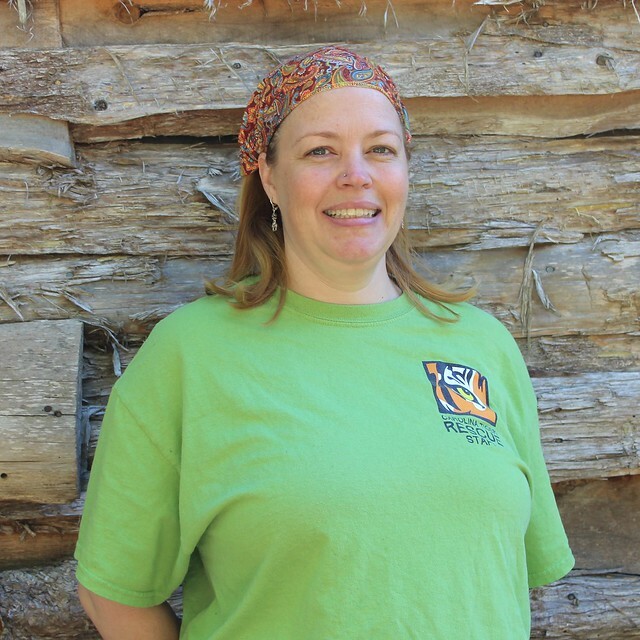 Michelle enjoys watercolor painting nature, kayaking and hiking. 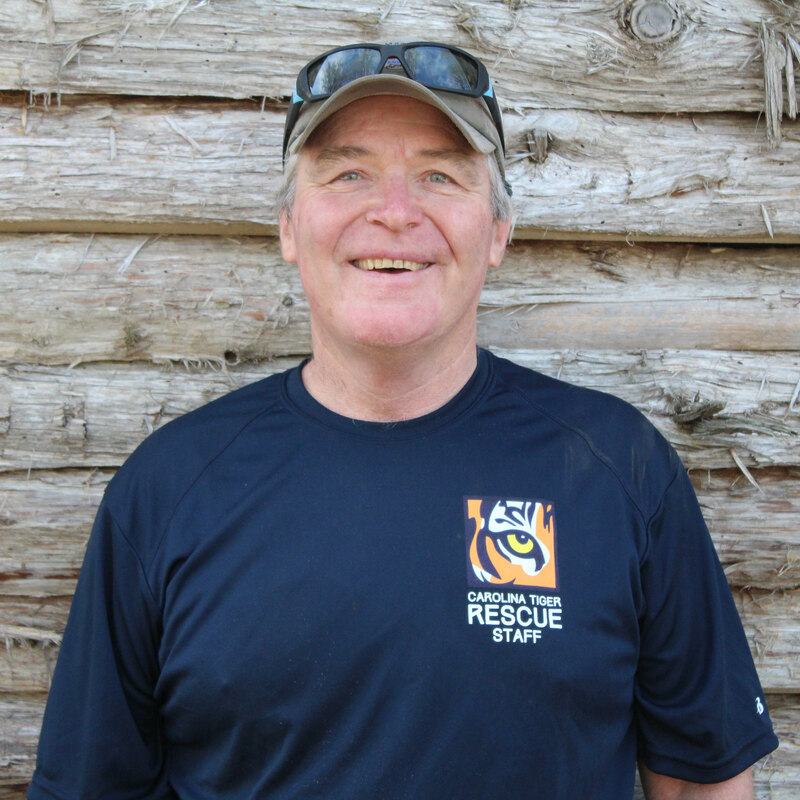 Roger joined our team in January 2018. He went to Humboldt State University in California, where he grew up. Roger played football, and graduated in 1986 with a Business Admin degree. He was previously the Executive Chef / Food Service supervisor for the United States Antarctic Program, based out of Centennial Colorado and Christchurch New Zealand. His wife saw the job at the tiger rescue on the internet and thought I would love it — she was right. He gets to be outdoors and doing something different everyday. Roger likes pretty much any water sport, he has two kayaks, an SUP, and a sailboat. He also just adopted a new puppy. Check back for more information on Tiffany! 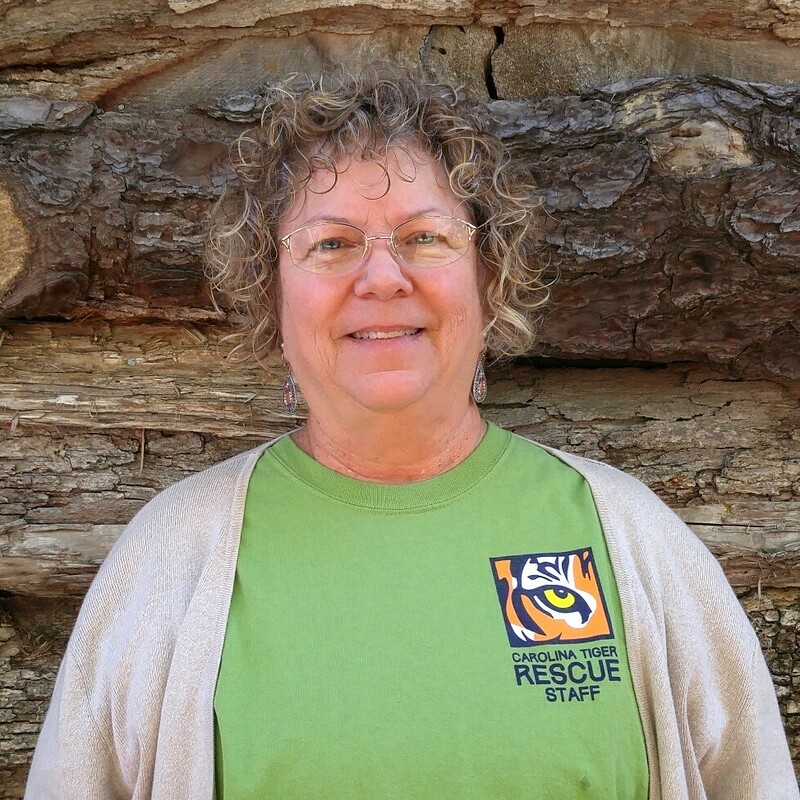 Susan King Cope joined Carolina Tiger Rescue in 2014 as the Development Director. She worked in the health and human services sector of nonprofits for over 20 years in the areas of program development, advocacy, fundraising, and special events. While working to raise money and awareness for a variety of health organizations has been extremely rewarding for her, it is wonderful to work with so many dedicated people who love animals and conservation efforts just as much! Susan finally found home at the rescue. In her spare time, Susan enjoys spending time with friends and family, practicing yoga and gardening. Heidi first came to Carolina Tiger Rescue as a visitor and quickly joined as a member. Having spent several years working in the nonprofit fundraising sector for environmental and educational organizations, she was thrilled to find a job that combined advocacy and education. 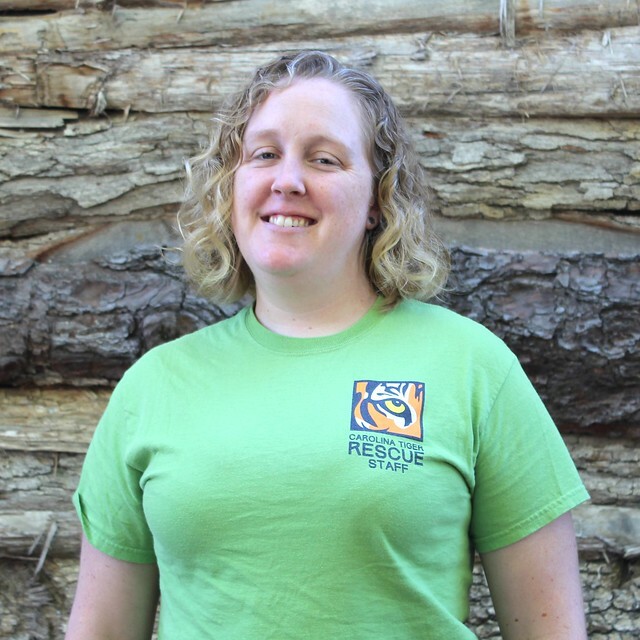 She loves making an impact on larger social and environmental issues that impact wild animals and especially the cats at Carolina Tiger Rescue. 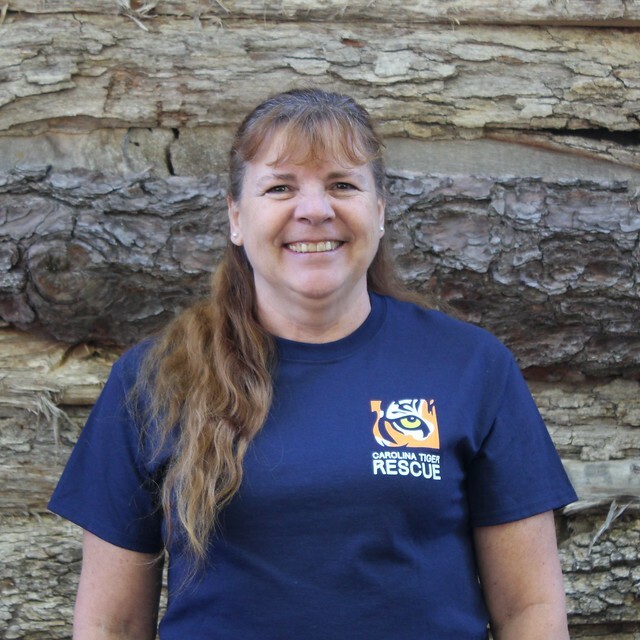 Her favorite part of her job is seeing the impact that a small group of staff, volunteers, and supporters can have on the lives of the animals that have been rescued. Heidi loves to read mysteries. 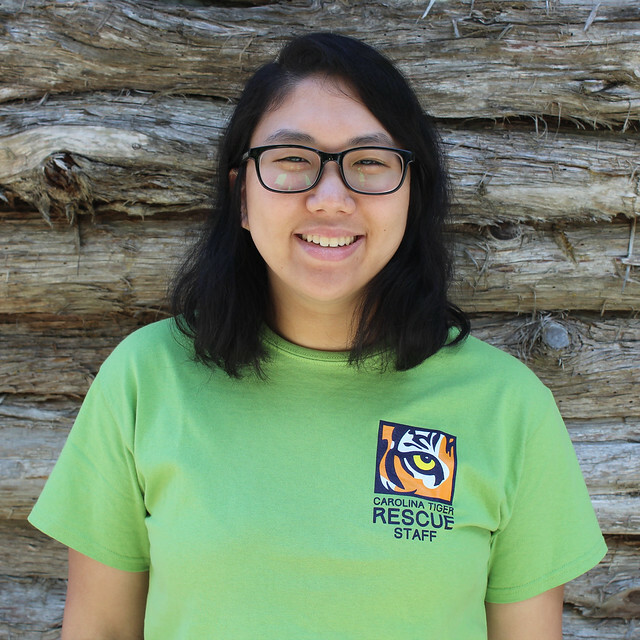 Hsi, a graduate of N.C. State, joined the Carolina Tiger Rescue staff in May 2018 after volunteering with the rescue as a tour guide assistant for a year. Hsi loves visiting the sanctuary and seeing all the animals happy and peaceful in their forever homes! 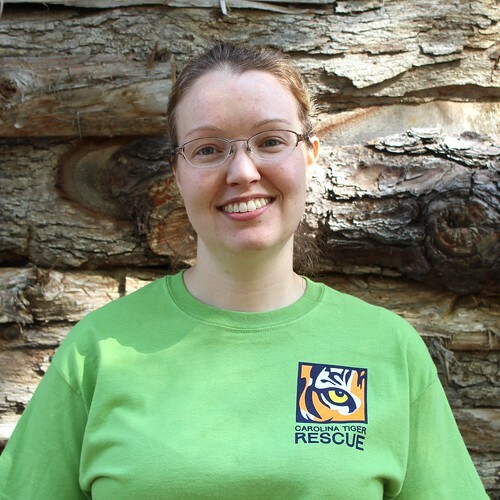 She also enjoys traveling and drawing, and Hsi volunteers with a local cat rescue. After Kyra’s acting career took her from place to place for years, she found her way to North Carolina. Ready for a career change, the thought of working for the welfare of animals appealed to her. 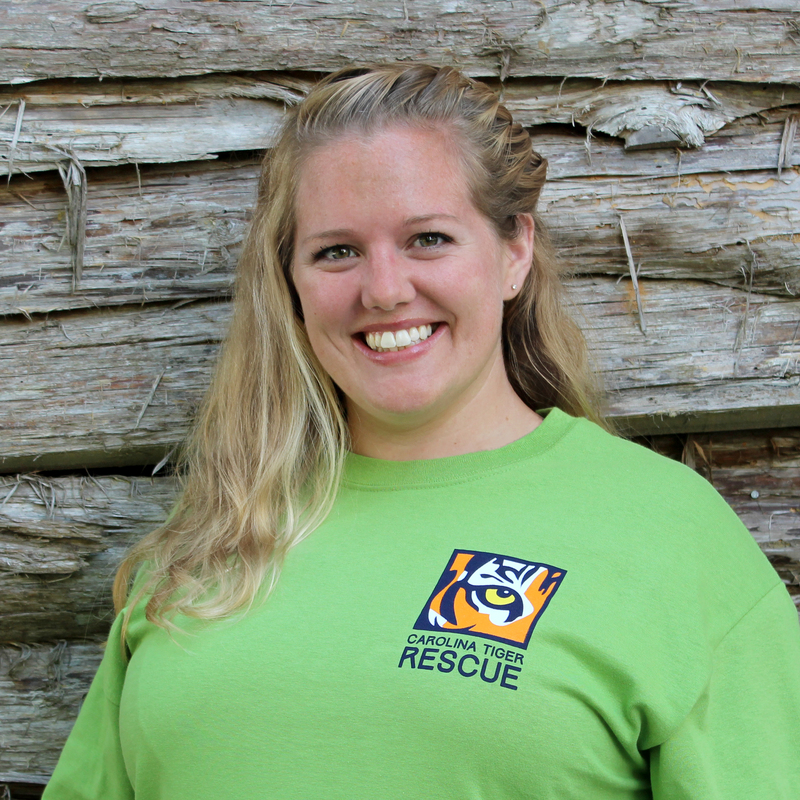 She discovered Carolina Tiger Rescue and became the Office Manager in 2006. Kyra loves that she is helping to make a difference in animals’ lives. In her spare time she loves to garden, write, and work on her house. Nicola graduated with a MSCI degree in mathematics from Lancaster University in the UK. She previously worked as a medical records merging project supervisor at a local hospital in the UK. When she moved to the United States, she applied to be an animal care volunteer with the rescue because it was within walking distance of where she lived. She had a couple of volunteer positions before joining the staff in January 2007 as a donation data entry professional. Nicola enjoys solving problems and coming up with ways to manipulate data to get the information her team members need to make the database work better for everyone! Nicola has a toddler, so when she does get time to herself, she enjoys reading. Karen retired from the New York State Dept. of Labor after 25 years of service. Karen’s family chose to move to Pittsboro for the weather and the people, whom they found so warm and welcoming. “Helping the animals and being a part of such a caring group of people has made my dreams come true.” Karen enjoys riding her Harley and visiting her grandchildren.